Cortisone drugs, (triamcilone in this study) in a new recent study published in the journal of the American medical association (volume 317(19) pp 1967-1975), are not used in our clinic for joint injections precisely because they actually accelerate the progression of arthritis and provide only short term pain relief – that diminishes with subsequent injections. They can also cause infections, which I have seen occur in serious form, in patients who had such injections elsewhere. 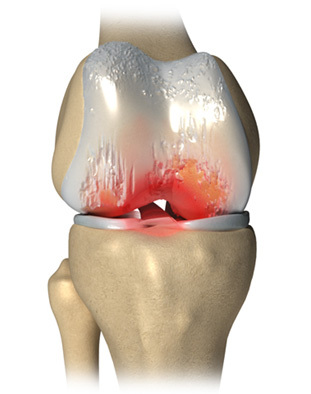 There are also studies showing that they are correlated with increased infection rates after joint replacement. For all these reasons I don’t use them in joints, or in tendons where they have long been known to be associated with subsequent rupture. We use PRP, stem cells nutritional supplements, protected weight bearing and increased flexibility to fight arthritis. Cortisone shots, as illustrated above, actually interfere with these joint preservation strategies.